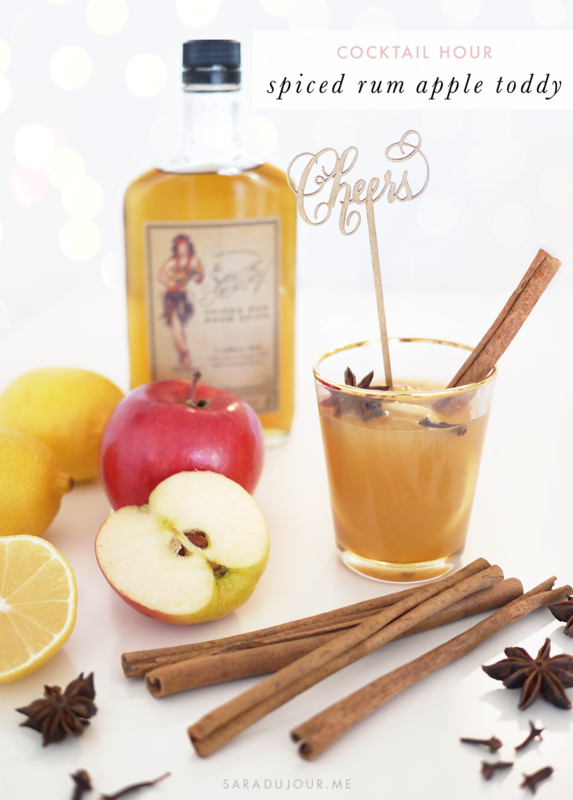 Few cocktails taste so much like Christmas than a spiced rum apple toddy. There are many different takes on hot toddy recipes, but this one’s my personal favourite. I served these up at my recent Christmas party (post to come!) and they were a big hit. They’re simple to whip up, delicious, warm, festive, and surprisingly potent. 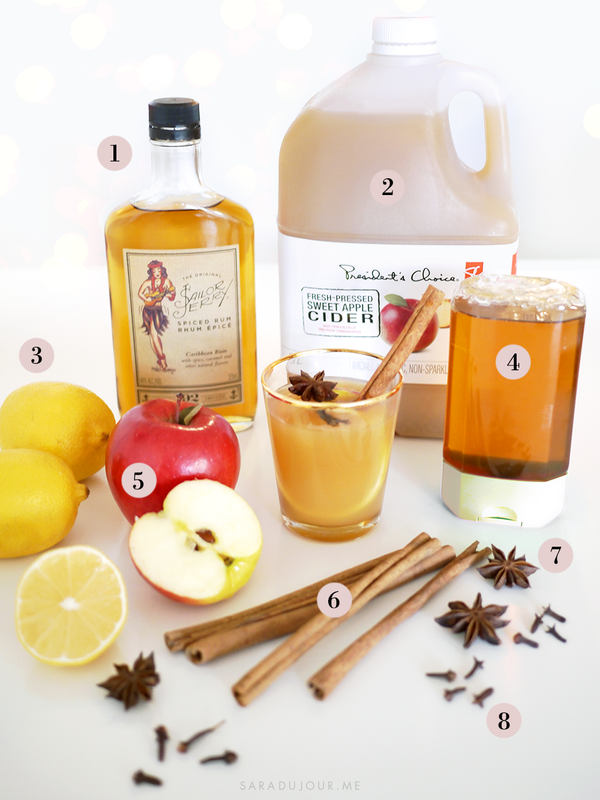 Here’s what you’ll need for the perfect spiced rum apple toddy. This recipe makes one cocktail – multiply as necessary. When making a hot toddy, there’s the inevitable whiskey vs rum debate. Personally, I prefer using rum as it’s more of a crowd-pleaser, whereas whiskey is more of an acquired taste. 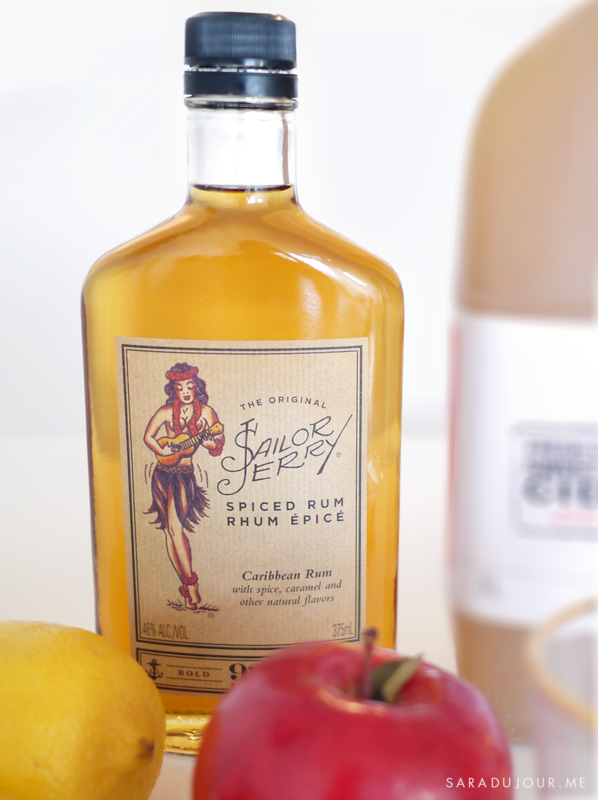 I consulted with a bartender friend of mine, and he recommended using a nice amber rum – this one is Sailor Jerry Spiced Rum. Heat up a pot of apple cider on the stove, on medium heat. Throw in one or two cinnamon sticks, a few cloves, and star anise. While that’s warming up, put a squirt of honey in each cocktail glass, along with a big squeeze of fresh lemon juice. Measure an ounce of the spiced rum and add that to each cocktail. If you want it to be less strong, do 1/2 or 3/4 of an ounce. 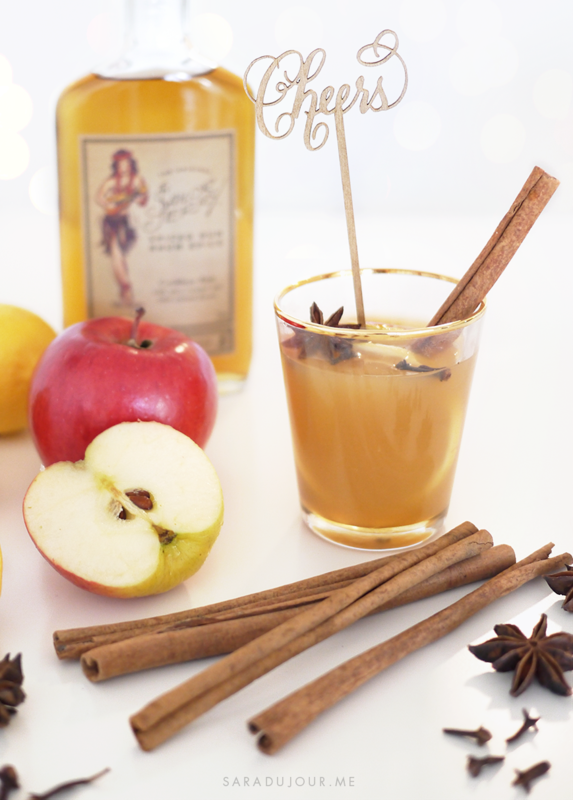 Now that the apple cider is nicely spiced and hot, ladle a spoonful of that into each cocktail glass, filling it all the way up. 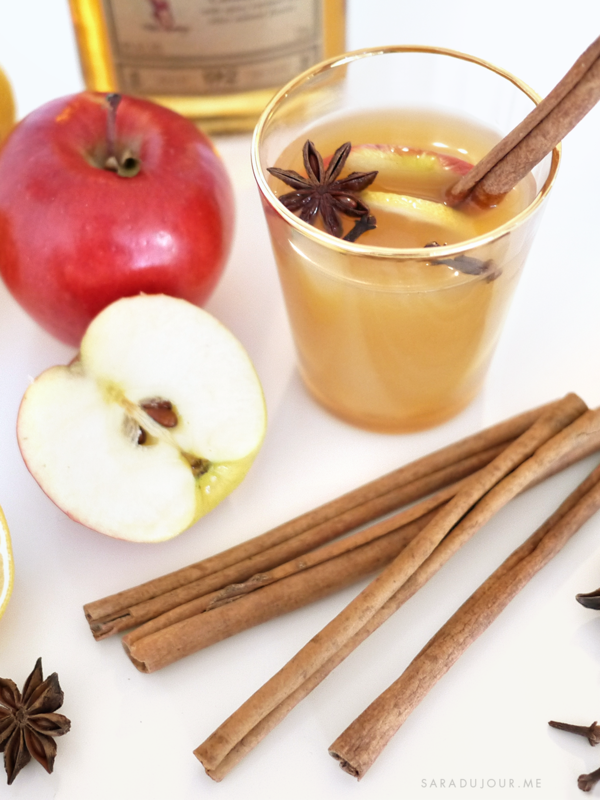 Garnish each drink with a cinnamon stick, a circular slice of lemon, cloves, a thin apple slice, and one star anise. Use the cinnamon stick to stir everything together, and you’re ready to serve them up to your guests! It’s not too late for making spirits bright this season. 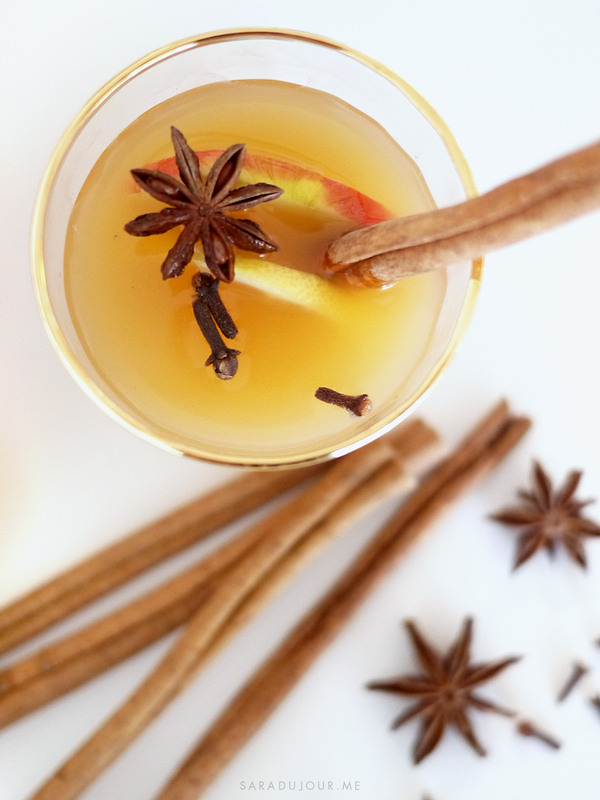 You can make a batch of these spiced rum hot toddys tonight on Christmas Eve, or tomorrow on Christmas Day, when everyone is cuddled up under blankets, gathered around the fireplace.